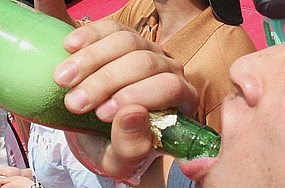 A report has found there is not enough help available for teenage binge drinkers. The Federal Government's advisory group on drugs has found one in 10 high school students has been binge drinking in the last week. The report has found there is not enough help available. The report by the Australian National Council on Drugs (ANCD) has found in the last week about 170,000 children would have been binge-drinking. It also says about 240,000 high school student used cannabis and 67,000 secondary students have used amphetamines in the past year. ANCD spokesman Gino Vumbaca says the report focussed on the effect that has on families and found there was not enough support services for those who want help. "They're hard-pressed to go beyond that person and offer the support for the family for siblings and the like," he said. The report has found drug use by children can ruin young lives, destroy marriages and even have an effect on siblings. Mr Vumbaca says most parents have trouble dealing with the issue. "Parents feel a little bit more comfortable dealing with alcohol problems and probably think they can sort those things out, even though we recommend they get professional advice," he said. ANCD chairman Dr John Herron says binge drinking is more common in bigger cities. "It's much the same, but it varies of course across when you go from the metropolitan area to country areas and so on, because - and again it depends on whether the siblings, the older kids in the family buy the grog for the younger kids - thinking they're helping them," he said.